Welcome to All of the Above where we tackle the big issues facing American schools today. Politicians and so-called experts have a lot to say about what today’s schools should look like, but All of the Above is a place for us on the front lines to have our say. Whether you’re a new teacher trying to find your way in the classroom, a parent concerned about your child’s education, or a veteran educator reassessing your practice in a rapidly changing world, we want to hear from you! Join us, two lifelong educators, as we take a hard look at the most complex, relevant, and controversial issues impacting our schools today. 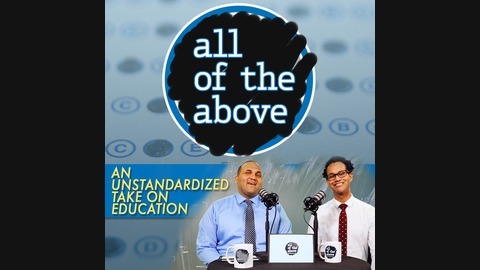 Tune in, subscribe, and send us your thoughts and questions as we engage in an unstandardized take on education. Full episodes and more can always be found on our website at www.AOTAshow.com. You can find us on Facebook at Facebook.com/AOTAshow. Manuel and Jeff recently sat down with the wonderful Vida Starr from KPFK 90.7 Pacifica Radio's Vida Starr for an interview about All of the Above. 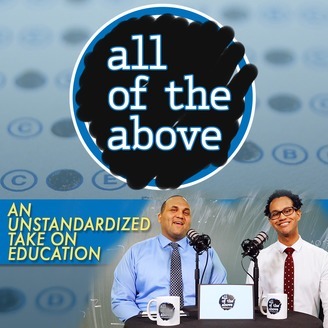 We get into the vision for the show, how it came to be, and our views on the most interesting topics in public education today. S2E9 - "She had like zero idea how to teach us..."